The 34th episode of the APPetite App Marketing podcast features an interview with Leon Dorado and Arash Eskandari of JawCandy. Leon and Arash discuss the development process for their first app Bumify, and why they’ve made the decision to release future apps by reskinning existing apps. JawCandy’s forthcoming apps include Chicken Choke and Mustache Mojo. 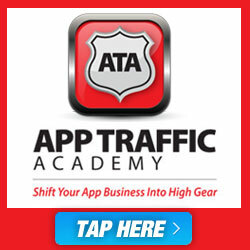 You can click here if you’re interested in learning more about App Traffic Academy.